AMM 1/c Otis Robert Anderson, son of Mrs. Maggie Anderson, graduated from Henderson High School; husband of the former Virginia Fowler. 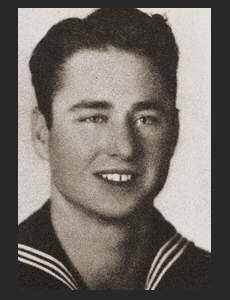 Entered Navy in 1941, trained in San Diego, California, Norman, Okla., and San Francisco, Cal. Awarded Victory Ribbon and Am. Defense Ribbon.